Pioneers in the industry, we offer malaria detection microscopes from India. 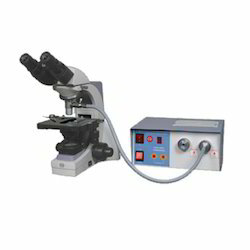 Our Company is engaged in offering a wide spectrum of Malaria Detection Microscopes. These products are designed by skilled professionals using innovative tools and machines. Offered products are strictly checked by our quality controllers against various quality parameters to ensure their quality and performance. Apart from this, these products are highly appreciated and accepted by our valued customers for their long life and premium quality features.